Soi is a series of sectional sofas with a fir plywood structure and the padding in flexible multi-density polyurethane, covered in fibre. 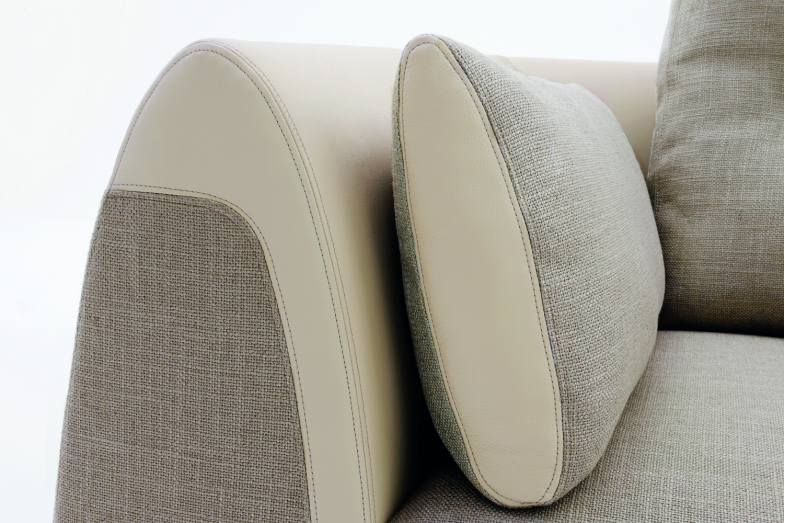 The cushions of the back and the arms are feather-padded. 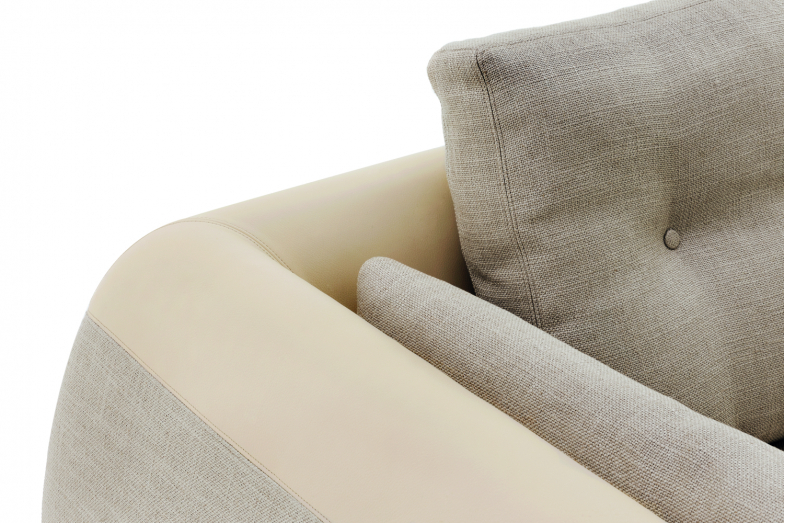 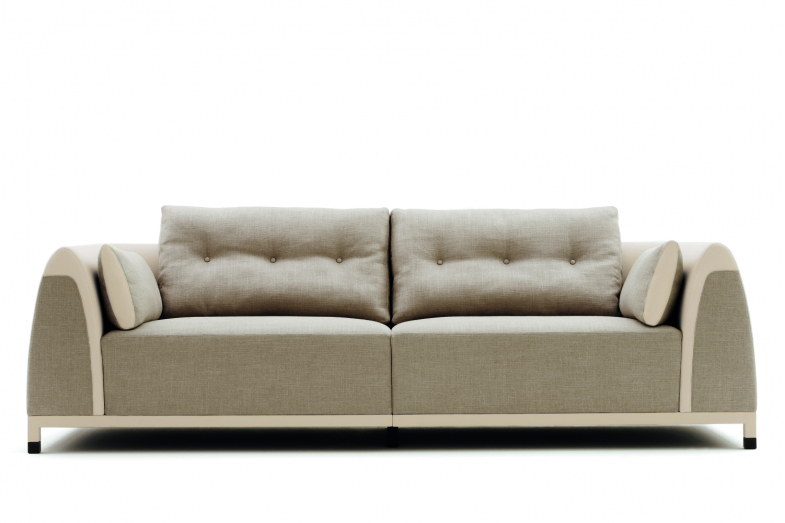 The upholstery, which is not removable, is available in a two-colour version: the interior of the back and the arms is always in leather, while the exterior can be in fabric or leather. The base frame is in solid beech entirely upholstered in leather and the foot-caps are painted in a bronze colour.